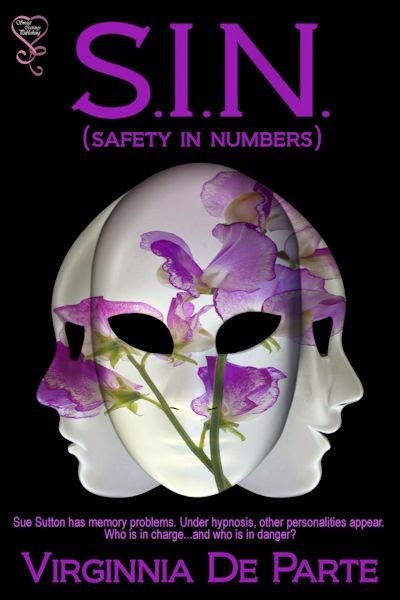 Today I welcome Daisy Banks to my blog - a writer who indulges her imagination and delights her readers with stories of fantasy and fiction, skilfully blended with facts. All my blog posts in the Valentine Wishes tour are to do with fairies and it has been interesting to discover other people who believe in them too. This is reassuring as I did wonder if people might find me more than a little odd. Someone did ask what could they do to encourage the presence of the wee folk in their home. I’d suggest first look to your garden or outdoor spaces. Elementals like fairies love greenery, flowers and herbs, so there is your first way to entice a fairy to linger. Fairies don’t relish neat and tidy, every weed pulled, every leaf and twig swept away as they fall, gardens. I think fairies like a bit of a wild spot, so do other creatures. Now, this will of course, depend on where in the world you and your garden are. If you know leaving logs around encourages poisonous snakes to come for a stay, you won’t want that in your garden. Likewise, one of my friends lives in a part of the USA where only cactus grows easily, but I know she has made a garden with stones and flowering types of cactus. Depending on what your weather is like you can use all kinds of things, mossy stones, small fountains, the solar powered ones are easy to set up, bird feeders and bird baths are fun, fragrant planting is good too and I’ve always found pots useful for plants so I can move plants around from place to place if I wish. My parent’s house has several wind chimes in the garden and they can be atmospheric. I expect a lot of you have these things already. If you want to be specific to plants for attracting fairies, Hawthorn hedging is grand. 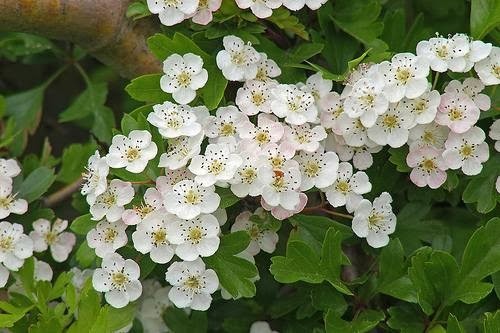 It is the Hawthorn that gives the glorious display known as May blossom. A myriad of tiny deliciously scented white flowers brings luck and many ruby red berries in winter. A delight for the when the winter weather comes. May blossom has been associated with fairies and magic for a very long time. Tradition says May blossom should not be cut and brought inside until the month of May is out. Specific flowers to encourage fairies are roses, nasturtiums, foxgloves, pansies, winter flowering heather. All these are bright colourful and fragrant. I could go add to this list with plants like lavender, rosemary and thyme. I’ve chosen a couple of images for you as an idea. I hope you enjoy them. Here is a little snippet from Valentine Wishes to let you see part of the garden. Poppy flew over the drab February garden. The damp, gray morning remained cold with an icy nip in the air, but at least she could feel no imminent snow. In one corner by where the girls parked the car, beneath a leafless bough, a little stand of snowdrops peeked out. Spring would soon arrive and the garden would bloom back into life. She flew up and around to the larger back garden. Here sat some of the dreaded decking. Lackluster, noxious stuff and when she first saw it, she had thought not to settle in such a place. But her girls, being such clever and willing mortals, covered more than half of the deck with pots, baskets, and bright coloured boxes of flowers and herbs. The scent in the summer intoxicated, and this persuaded her to stay. The party that had been in full swing when she arrived, with couples who danced on the lawn, also helped make up her mind. Why, my girls even have pretty fairy lights hanging from the bushes. She knew another party was planned to take place very soon and she could hardly wait.